View my new listing for sale at 302 - 1133 E 29th Street, North Vancouver and currently listed at $745,000. View my new listing for sale at 201 - 1281 Parkgate Avenue, North Vancouver and currently listed at $810,000. View my new listing for sale at 2433 Mowat Place, North Vancouver and currently listed at $1,898,000. I have just recently sold this listing at 202 - 960 Lynn Valley Road, North Vancouver. View my new listing for sale at 1887 Orkney Place, North Vancouver and currently listed at $2,698,000. Gorgeous and well maintained executive home in sought-after Northlands. This architecturally designed 51800 sf tudor home has it all with 5 beds, 3 baths, double-garage, plus a 1 bed self-contained in-law suite. The 8668 sf property is located at the top of Orkney Place, on a quiet cul-de-sac surrounded by forest, trails and lush, professionally landscaped gardens. A grand entrance and formal entertainment sized L/R & D/R adjacent to gourmet sized kitchen provides ample room for entertaining & large family gatherings! Easy step out access to your private, fully fenced west facing gardens, 544 sf patio for year round use, sunken hot tub, and secluded sauna. Call now for your private showing. I have just recently sold this listing at 512 - 150 W 22nd Street, North Vancouver. 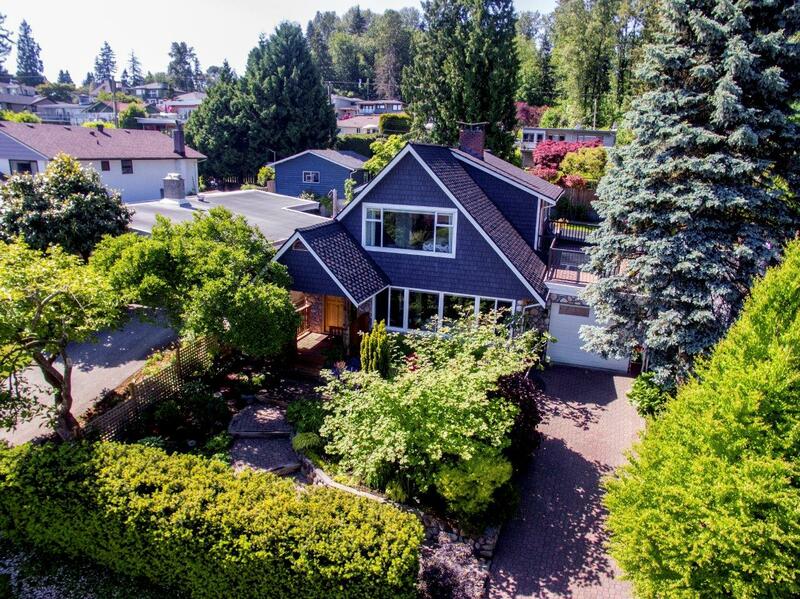 View my new listing for sale at 779 E 17th Street, North Vancouver and currently listed at $1,618,000. FABULOUS, Fully updated, Move in Ready, Family home in the Heart of Desirable Grand Boulevard neighbourhood. Almost 2500sqft: Main floor consists of Large Livgrm/Dinrm, Newer Kitchen/Famrm, 3 bedrooms up, all in SPOTLESS condition & gleaming hardwood floors. Cozy gas fireplaces. Fully Finished Bsmt with Guest Accommodation, separate entrance, PLUS Rec Room, Office area & separate bath for upstairs family. Laundry/Mud room with dual access. MANICURED back yard with stone patio, sundeck, gardens, Detached Garage plus large Carport & lots of extra parking. Beautiful neighbourhood with Sutherland High & Brooksbank Elementary blocks away. Loutet Park, Hiking/Biking trails, Hwy 1 access & transit at your doorstep. Very Easy to Show. Spacious 775 sq ft 2 bed 1 bath top floor apartment with views west to NS Mountains and West Van. Open concept living room, kitchen and dining area updated in 2012. Living room features large windows and a vaulted ceiling, the kitchen features granite countertops, breakfast bar, double sink, stainless steel appliances and skylight. The building is extremely well run with large contingency reserve fund; new roof in 2017, new stucco and balconies. Close to parks, trails, golf, skiing, indoor and outdoor recreation and only 25 minutes from downtown. Includes one underground parking stall and locker. Now a non-smoking building!